His victory came after the UK withdrew its nominee. In a tough battle for a berth in the International Court of Justice, India has triumphed over the UK to secure the 15th and final spot as a judge of the ICJ. 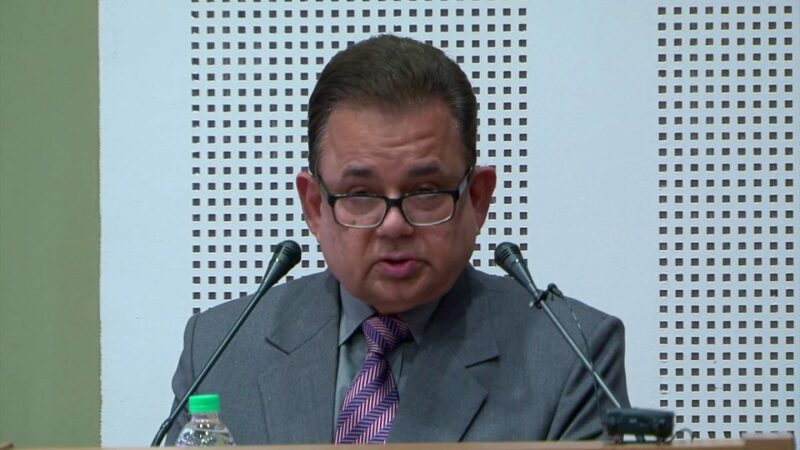 India’s nominee Dalveer Bhandari got a second term after the UK withdrew its candidate from the election. “An acrimonious competition”, wrote British paper The Guardian describing the bitter battle between India and the United Kingdom in UN. Bhandari won the final seat after receiving 183 of the 193 votes in the United Nations General Assembly and secured all the 15 votes in the Security Council. Both elections were held simultaneously at the UN headquarters in New York. India won the election after Matthew Rycroft, Britain’s Permanent Representative to the UN, withdrew the nomination of Sir Christopher Greenwood. This is the first time in 71 years that UK will not have a judge on the bench of the ICJ. The UK media criticized the move to withdraw the candidate, saying that it bowed to international pressure. 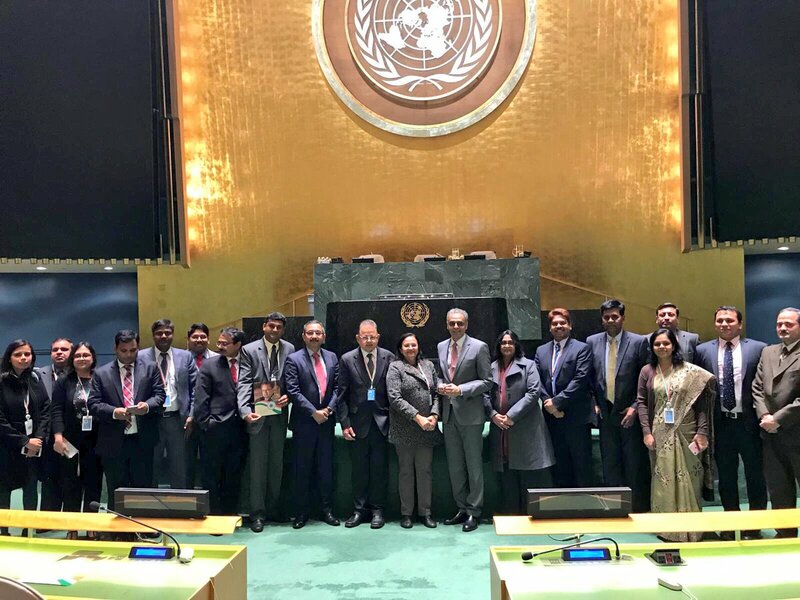 Judge Dalveer Bhandari with India’s Permanent Representative to the United Nations Syed Akbaruddin and other members. The Guardian wrote that with India being considered a significant trading partner post-Brexit could have led to the historic decision. Until 11th rounds of the election, Bhandari received more than two third of the members’ support in the General Assembly but was behind Greenwood by three votes in the Security Council. Global media is of the view that the overwhelming support that India received in the General Assembly seems to be reflection of the changing world order. There has been intense lobbying for the Indian candidate, with the country’s permanent mission at the UN and diplomats in New Delhi working round the clock for the past few weeks to convince the members of the Security Council to vote for its candidate. There are also reports that the UK tried to misuse its permanent membership in the Security Council by pushing for a joint conference mechanism which was last used 96 years ago. A joint conference mechanism could have resulted in the stopping of any further round of voting which could have ended in going against popular sentiment of the General Assembly. “The UK has concluded that it is wrong to continue to take up the valuable time of the Security Council and the UN General Assembly with further rounds of elections,” Rycroft said in a written statement. Despite the UK trying to use the joint conference mechanism to stall further election Rycroft said his country is happy that its close friend India won the election. “We are naturally disappointed, but it was a competitive field with six strong candidates,” Rycroft said. “If the UK could not win in this run-off, then we are pleased that it is a close friend like India that has done so instead. We will continue to cooperate closely with India, here in the United Nations and globally.” Rycroft said the UK will continue to support ICJ.